Don't feel bad, nobody has been able to keep a constant contest going for a good while now. You have those that want easy patterns, then you have the ones that only want patterns you fish, then you have those that want something more difficult,then you have those that want to but can't find the time, then you have those that are starting out and are afraid their flies don't look good enough, then you have those that don't have a camera or don't know how to post a picture, then you have those that are burned out and can't get back into it. No way to please the whole crowd. The contest still rocks, it used to be awesome and I still enjoy it. Perhaps the most beautiful tie I have ever seen was sparked by the FOTW contest, and sure the creator said it wouldn't fish, but it sure is purdy. 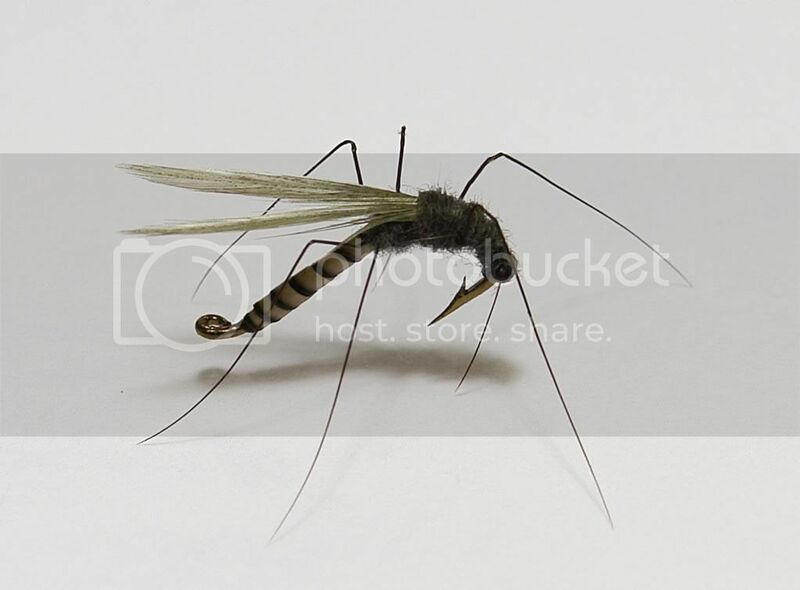 That allthumbs tied this awesome mosquito with a biot. Thought we all might like to see it again and also some who haven't. Appropriate thread. I know this thing won't fish, just one of them fun tie's. Wow! I hadn't seen that one before! That thing is sweeeet! Add maybe a tiny piece of foam to the top and that will fish! I agree. It blew me away when I first saw it. it is one of the best ties I've ever seen. I might have to agree with allthumbs on this, though. The way a leader turns over might lends itself to throwing this thing upside down. I suppose if you tie it on right.... The fact that is uses the hook bend as part of the lifelike mosquito body is an amazing idea, but also one thing keeping it from fishing. I think if allowed to sink just below the surface maybe with a hopper it would fish, however. All pure speculation of course, what do I know? May perhaps land better with a down eye hook? None the less, insane looking fly! thanks for pointing out the patent absurdity (though evidence proves its validity) of that claim. nice callout to the slackers as well and a challenge (new name in lieu of contest) thrown downl. Much more talk like that and your goig to have to change your name again to something more apropriate like Dr. Blur -diddy Mc Shizzle. How bout Mac Daddy Blur? That's a B.A. tie young'un!!! I am a bit dismayed at this forum for sometime now. 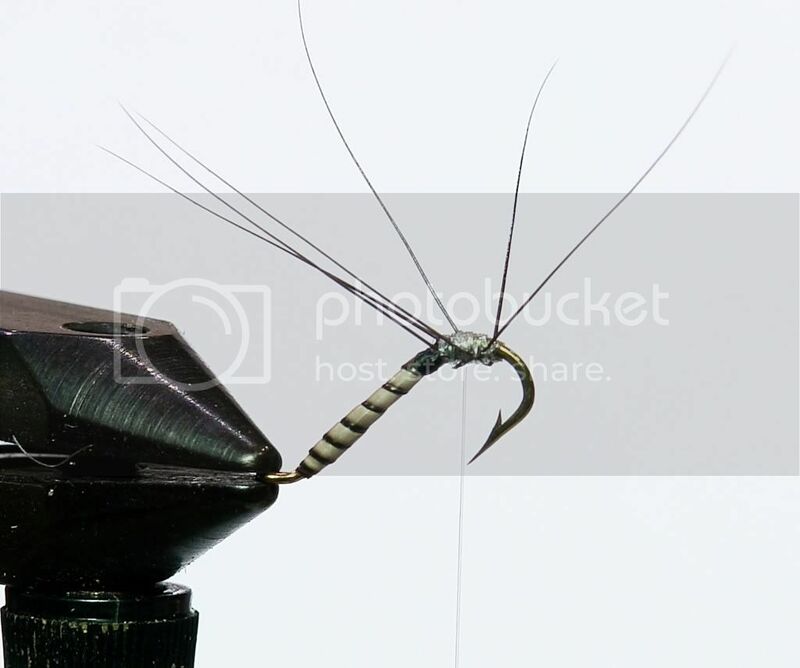 It seams as many of the prior camaraderie events and outings or functions we have had the past several years, has slipped a lot, specially this fly tying anti-contest. I will admit there have been times that I could not tie for the weekly event, but I never missed out for very long. I do not even remember me ever winning one and only lucky if I even got honorable mention, but that has not deterred me from trying to tie what ever has come along. Many times I don’t even have the right materials i.e., improper hackle or what ever, but I will still try something. Heck, go back through the history of the Fly tying Contests on this forum and see that I was posting flies as Flies of the Week (FOW) for over a year mostly by myself (March 2012 back to approx march of 2011). I guess I can say I was the default winner of every one of those right? I still feel that I am a HACK when it come to tying flies, but I do think because I have tried to tie and post better pictures, I have improved somewhat over the course of time (last 4-5 years). I just wish we could generate more interest from many more of the members here.